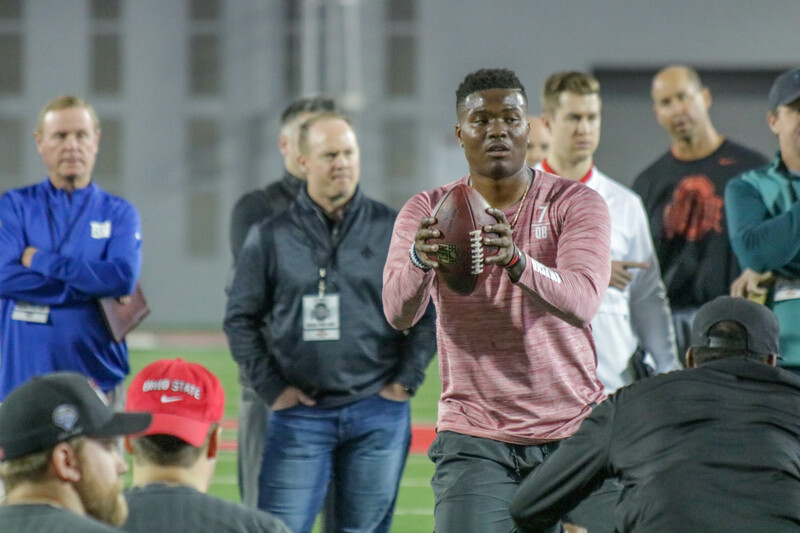 Ten days before commissioner Roger Goodell walks onto the stage and opens the NFL draft April 25 in Nashville, Tenn., a top-10 team has a former Ohio State star in its building for a multi-day visit. 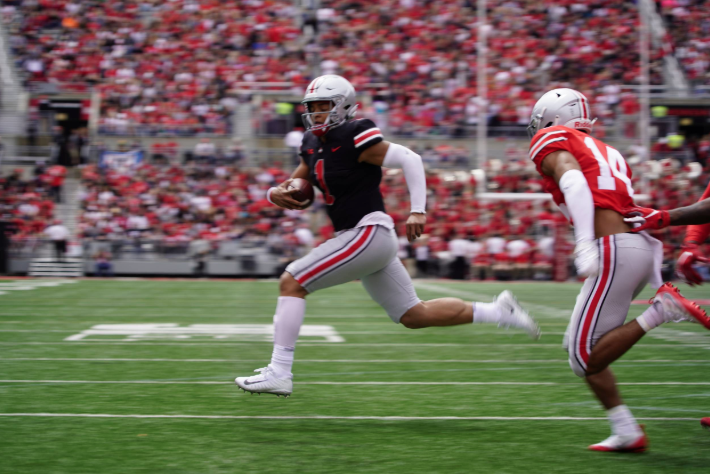 COLUMBUS, Ohio — Midway through the second quarter of Ohio State’s spring game Saturday, Garrett Wilson woke the 61,102 fans at Ohio Stadium from an afternoon slumber. A much-needed reinforcement is on its way to Columbus for head coach Chris Holtmann and the Ohio State men’s basketball team ahead of the 2019-20 season. 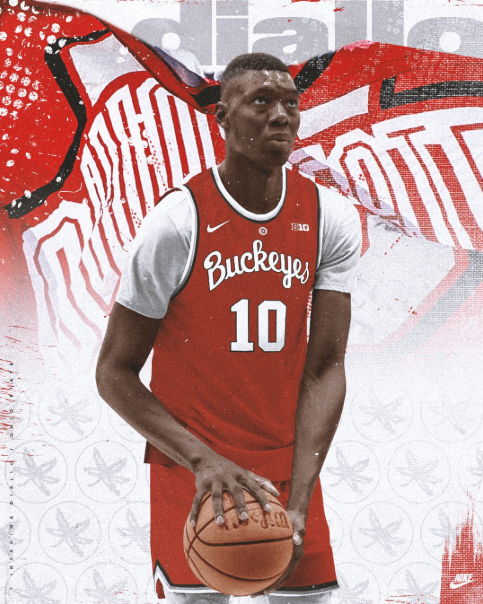 After months of being in the mix, the Buckeyes landed a coveted commitment Sunday from 2019 center Ibrahima Diallo. 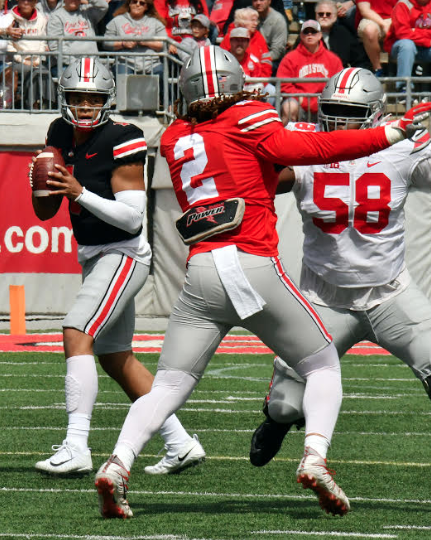 COLUMBUS, Ohio — When he arrived at his press conference in the southeast tower of Ohio Stadium, Ryan Day was bombarded — as expected — with questions about Ohio State’s quarterbacks. 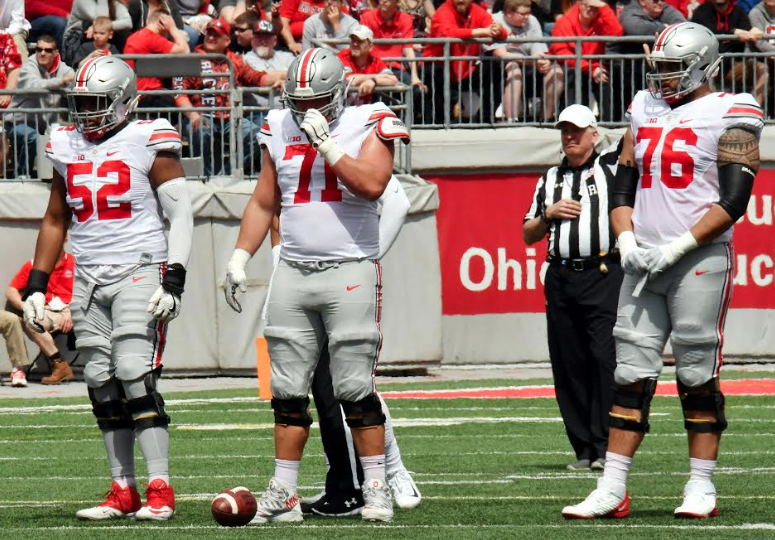 COLUMBUS, Ohio — In the three months since Ohio State officially elevated second-year offensive coordinator Ryan Day to first-year head coach Jan. 2, the Buckeyes have entered a whirlwind of changes while keeping former head coach Urban Meyer’s culture intact. 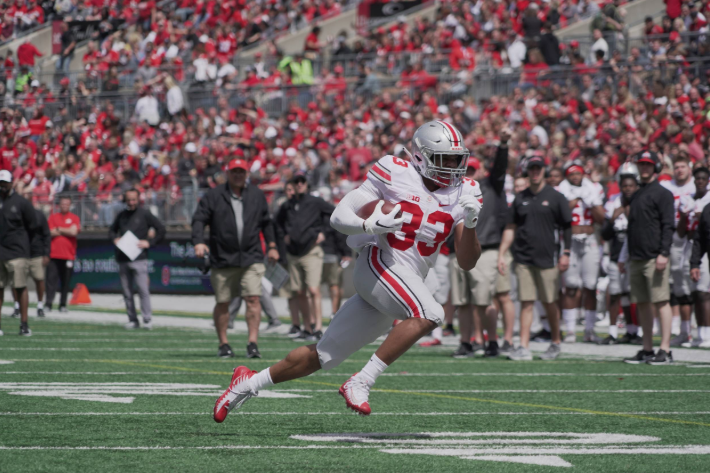 Buckeye Leaves: Who Stood Out In Ohio State’s Spring Game? COLUMBUS, Ohio — Ohio State’s first spring camp under head coach Ryan Day is officially in the books. 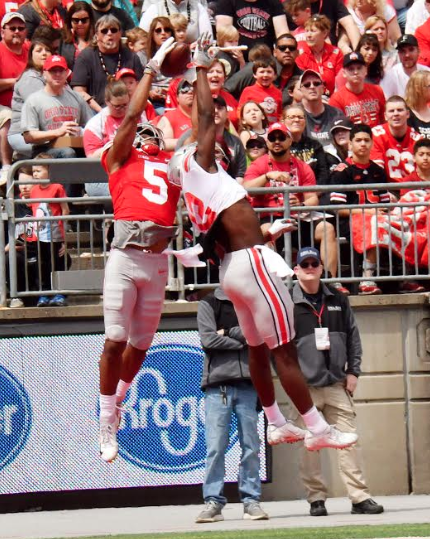 The Buckeyes capped the 15th day of camp with Saturday’s spring game as the Gray recorded a 35-17 win over the Scarlet before 61,102 at Ohio Stadium. 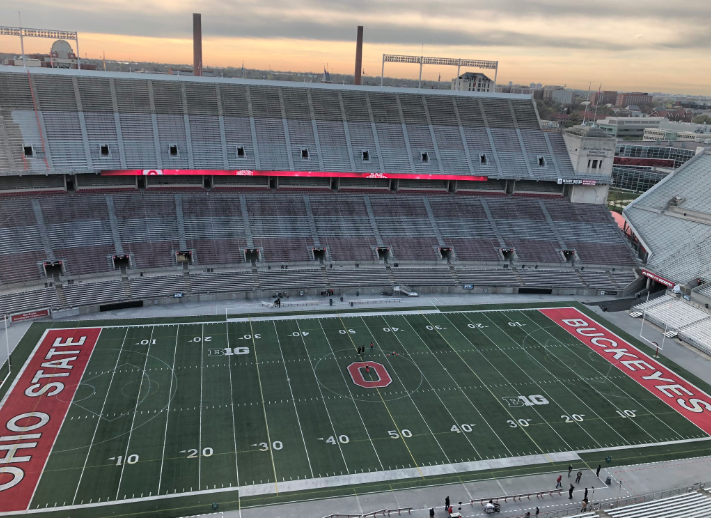 COLUMBUS, Ohio — A new era of Ohio State football gets underway as first-year head coach Ryan Day caps his first spring camp Saturday when he leads the team into day 15 with the spring game at noon on Big Ten Network. 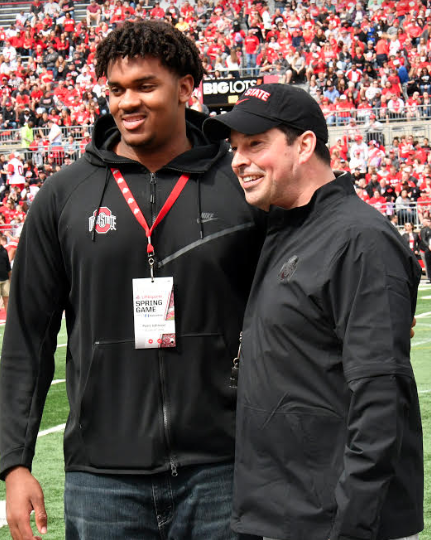 Four months after he reopened his recruitment Dec. 4, four-star defensive back Lejond Cavazos found his way home April 12 when he announced a commitment to Ohio State on the eve of its spring game.